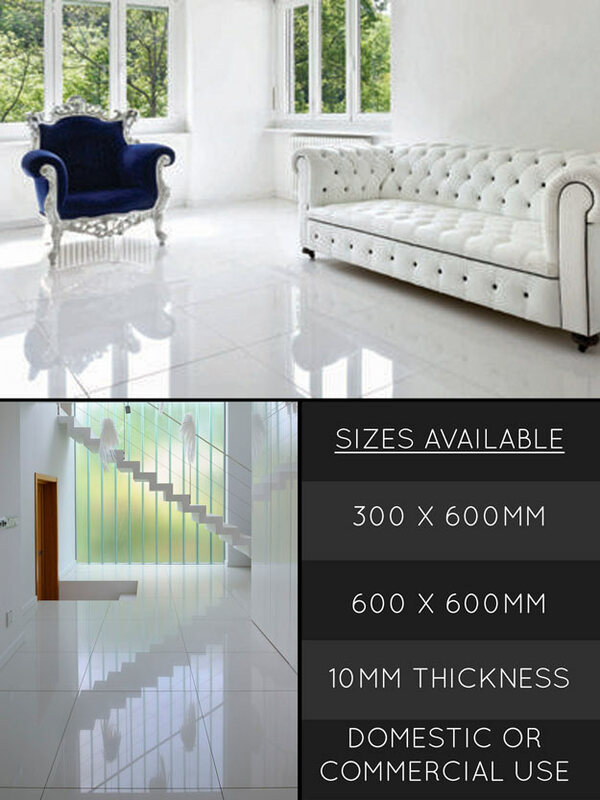 This highly polished gloss creamy white porcelain floor tile is a beautiful classically contemporary floor and is ideal for showing off modern interior design settings. Not only does this floor look good it is also extremely hardwearing floor and easy to maintain. * High gloss cream tile. * Domestic & commercial use.